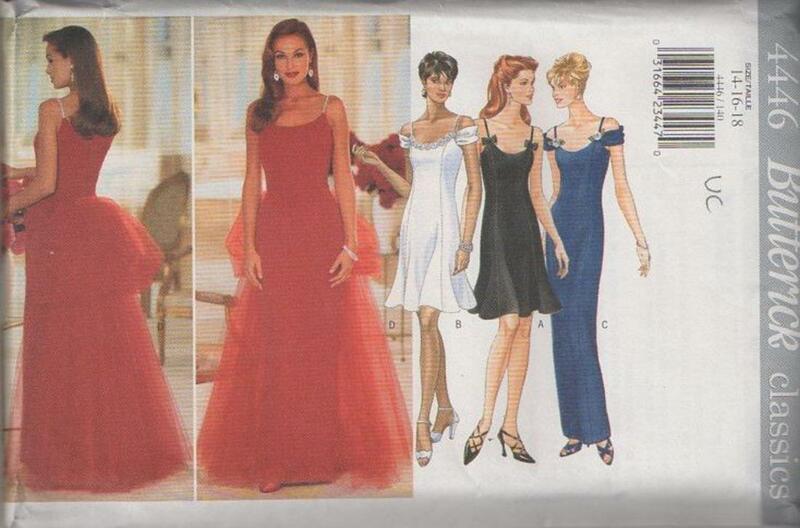 Bust 36-40", Waist 28-32", Hips 38-42"
1996, 90s Evening, Retro Formal Clothing Patterns - MISSES'/MISSES' PETITE DRESS Close-fitting, tapered or flared, lined dress, above mid-knee or evening length, has shoulder straps, princess seams and back zipper. C,D: back slit. A: bows/knots. B,C: bias sleeves with stay and purchased flowers. D: detachable train with ruffles and contrast stay.